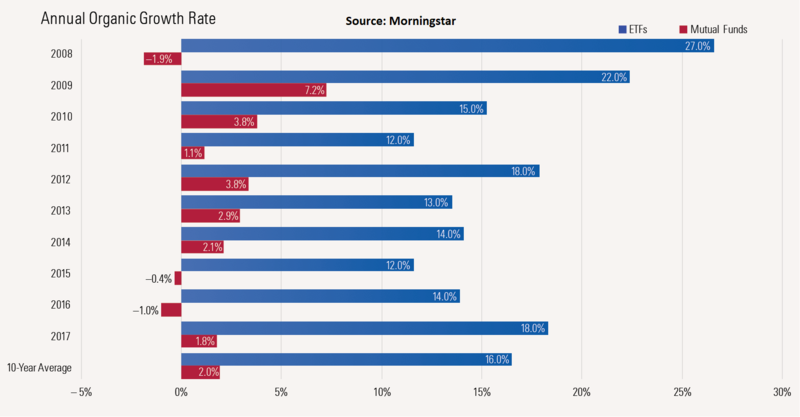 Investors were clearly put to the test in 2018, but there’s been one identifiable trend–a behavioral divergence of exchange-traded fund (ETF) and mutual fund investors. 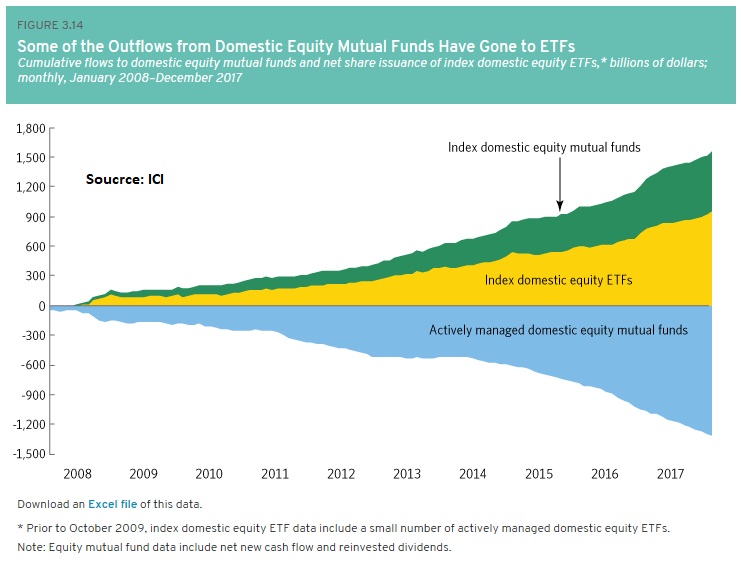 It’s a trend that will likely persist, and one that highlights this behavioral divergence of ETF investors and mutual fund investors. Just as markets were getting roiled in 2018, money continued to flow into ETFs, but what is fueling this divergence? 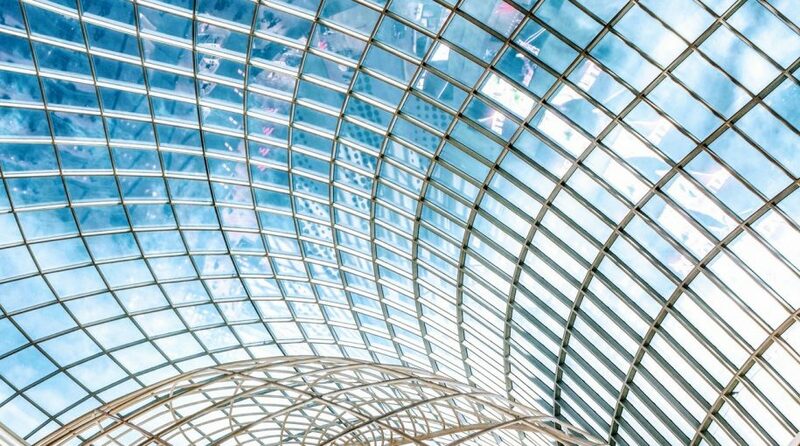 The answer lies in the inherent benefits of ETFs compared to mutual funds as a prime motivator– a confluence of the investment vehicle’s simplicity, liquidity, tax efficiency, a plethora of choices with over 2,000 ETF products, and much more. 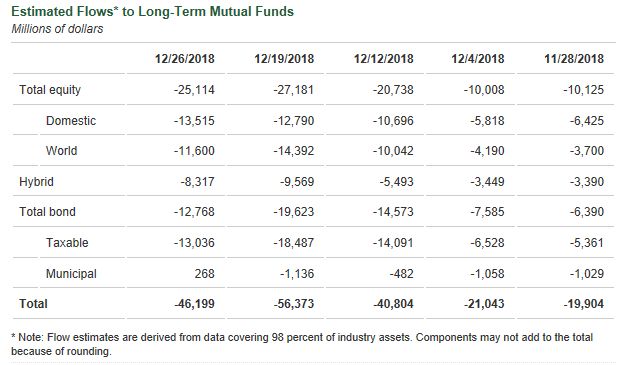 According to Bloomberg, the bloodletting in mutual funds was also apparent during the month of November where mutual funds lost $98 billion, and according to more data from the ICI, those outflows are translating to inflows for ETFs. The appetite for ETFs is expected to continue, particularly among millennials who are choosing the ETF as their investment of choice based on an investor study by Charles Schwab.